﻿Hello, my name is George Howard. I have been surfing Topsail Island for over 35 years. My family and I moved here to Surf City 20 years ago so that I could shape, surf and work towards opening a surf shop. My wife and I opened On Shore Surf Shop in 1997. The early years were humbling. We started On Shore in the old mini golf/arcade lot, where the Trailer Bar is now located. We stayed there one year, then moved to the old art gallery beside the East Coast Sports building. Hurricane Fran came through and changed everything. It took a year to rebuild, but we moved in with East Coast in 2000 and have been here ever since. On Shore is a family owned business. My daughter Britney was raised in the shop, working side by side with her mother and I. 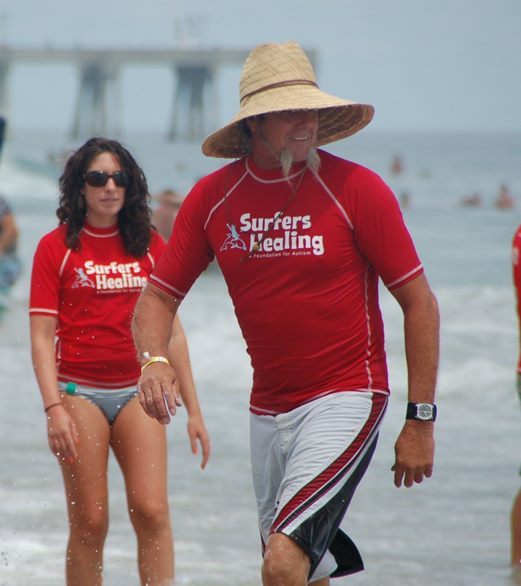 We have been here for 15 years, serving the surfing community in Surf City. We hold two main contests annually, the Earth & Surf Fest and the King of the Peak. We have also worked hard to get both districts of the ESA to bring their contests to the island.